For 2,000 years, Christendom has believed that faith and penitence are the narrow gates through which all who seek heaven must pass, and that the church on Earth holds the key. What if a forgotten relic, hidden inside an abandoned ship thought to have been lost at sea more than a century ago, suddenly reappeared and cast doubt on that belief? Who would seek to use it? Who would seek to destroy it? And whose lives would it forever change? This sweeping allegorical tale begins with the escape of a Gypsy princess and her young lover from her father’s camp in 1851, recalling the flight of Adam and Eve from the Garden of Eden. The boy steals Prodigal, a sailing ship blessed with unnatural speed, and the lovers escape to sea, leaving the father to grieve for the loss and pine for the return of his child. More than 150 years later on Ocracoke Island we meet Aidan Sharpe, an aging lawyer, as he rises from the sand of a remote beach after a lost weekend. In a strange foreboding, one woman gives him wine and another gives him water just as his world is about to be consumed by scandal. 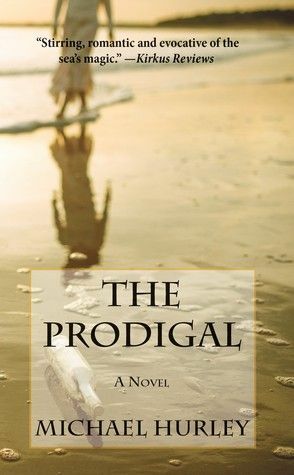 While struggling to rebuild his life in this lonely outpost of the Outer Banks, Aidan is caught up in a two-thousand-year-old mystery that unfolds with the sudden reappearance of Prodigal off the coast, adrift and unmanned. Its discovery will lead Aidan and those close to him into the deep, in a race between time and eternity. Michael Hurley and his wife Susan lives in Raleigh, North Carolina. Born in Baltimore in 1958, he holds a degree in English education from the University of Maryland and a law degree from St. Louis University. 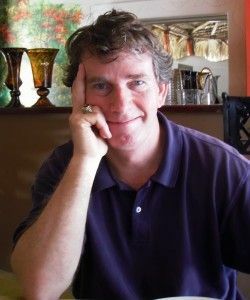 His first book, Letters from the Woods, was a collection of essays compiled from eight years of wilderness canoeing expeditions with his children. It was a finalist for the Book of the Year Award by ForeWord magazine in 2005. In April 2013 Hachette Book Group published his memoir, Once Upon a Gypsy Moon. 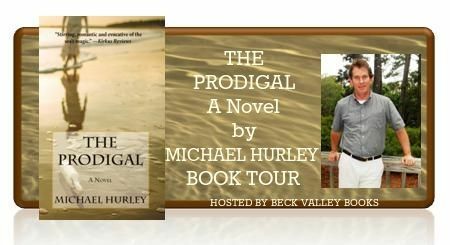 The Prodigal is his first novel. I received a free copy of this book from Beck Valley Books in exchange for a review; however, all views and opinions are 100% mine. I can't wait to get around to reading this one ! I've heard about this book, but haven't gotten a chance to grab it yet, but it's on my wishlist, and your review assured me that I should get it soon.